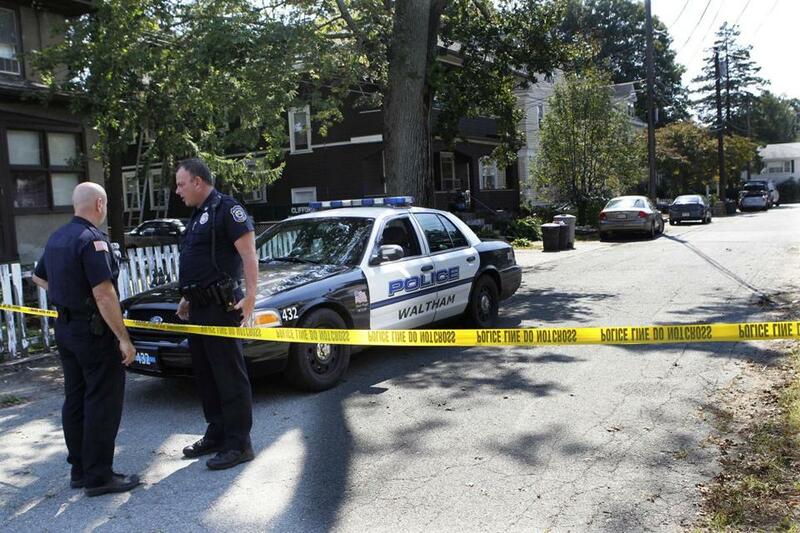 At first it seemed a grisly triple homicide in Waltham on Sept. 11, 2011, was a drug deal gone bad. On a Sunday afternoon in summer 2010, Brendan H. Mess, a close friend of Tamerlan Tsarnaev and a specialist in mixed martial arts, was walking along a Cambridge street when he came face to face with a police officer. The patrol­man was investigating a complaint that Mess, then 24, had attacked a group of people near Inman Square, breaking one man’s nose and leaving another with a bloody mouth. Rather than cooperate, Mess began yelling at the officer, at one point saying, “I can knock you out if I wanted to,” according to the officer’s ­report. Soon, three additional officers arrived, and Mess was hit with a chemical spray, wrestled to the ground, and handcuffed. Even then, police said, Mess continued threatening the officers. A year later, Mess was dead, his throat slashed in a grisly triple homicide in Waltham on Sept. 11, 2011, that was widely assumed to be a drug deal gone bad and all but forgotten. But 18 months later it has burst again into the public eye, an international incident with links to the alleged Boston Marathon bombers, a man shot this week in Orlando, Fla., and a world of extreme violence they inhabited. “This is an ongoing investigation, and clearly there are some very dangerous people ­involved in this whole series of crimes,” Boston Police Commissioner Edward F. Davis said Thursday. Authorities now say bombing suspect Tamerlan Tsarnaev may have helped kill the three men, along with Ibragim ­Todashev, who was shot by an FBI agent after he allegedly lunged at the agent with a blade during an interview in Orlando. “The Orlando questioning was focused on what happened in Waltham,” Davis said. Little has been publicly known of the three men who were discovered in Mess’s apartment, where they had gathered to watch a football game. Investigators said they appeared to have been ambushed, their throats slashed and marijuana covering them. Killed with Mess were Erik H. Weissman, 31, and Raphael M. Teken, 37. All three were ­familiar to police. Teken, who attended Brookline High School and Brandeis University and whose father, Avi Teken, is the spiritual leader of a Jewish congregation in Newton, had received six months of pretrial probation in 2005 after he was charged with assaulting a woman and maliciously damaging property. Weissman, who, like Mess and Tsarnaev, attended Cambridge Ringe & Latin School, had run into deeper legal trouble. According to court records reviewed by the Globe, on Jan. 17, 2011, Boston police searched Weissman’s Roslindale apartment and seized more than $21,000 in cash, along with drug paraphernalia and a wide assortment of drugs, including marijuana, hashish, cocaine, and Oxycontin. Weissman was also charged in 2008 with drug possession with intent to distribute after Boston police stopped him for traffic violations in Allston and found marijuana in his car. Weissman’s lawyer, Norman S. Zalkind, said Weissman was not attempting to negotiate a plea deal by informing on other criminal suspects, which would virtually eliminate the possibility that the three men were killed as an act of retribution by a drug supplier who may have been involved with Weissman. Friends and relatives of the victims said the apartment was rented by Mess and that Weissman, after having his cash and drugs seized by the police, was staying there temporarily. ­Teken also lived in Waltham. It has always been clear, author­ities say, that those who committed the killings were strong and skilled combatants. On their death certificates, Mess is listed as a martial arts instructor and Teken as a personal trainer. Yet the three men were overpowered and killed without a shot being fired. The Globe reported last month that friends and relatives of the victims began suspecting Tsarnaev of the homicides for a variety of reasons, includ­ing a change in behavior after the slayings. The killings also occurred on a date of great significance to jihadists. Initially, neighbors of the victims said they were told by police that the killings were probably drug related. But some family members disagreed, as did Zalkind. It remains unclear whether authorities investigated ­Tsarnaev in connection with the killings before friends and family of the victims began calling Waltham police and federal authorities last month to report a possible link, after Tsarnaev and his brother, Dzhokhar, were publicly identified as the suspected Marathon bombers. But there is no question about Tsarnaev’s ties to Mess, who had recently moved to Waltham from Cambridge at the urging of Mess’s girlfriend, Hibatalla Eltilib, according to friends and relatives of the victims who spoke with the Globe. Mess and Tsaernaev had grown close as neighbors near Inman Square, sharing a love of fighting, as well as hip-hop music. Eltilib has since returned to Sudan. Repeated attempts to reach her in recent weeks were unsuccessful. It is unclear when she left the Greater Boston ­area, but her departure mirrors those of Tsarnaev and Todashev, each of whom also left the area following the triple homicide. 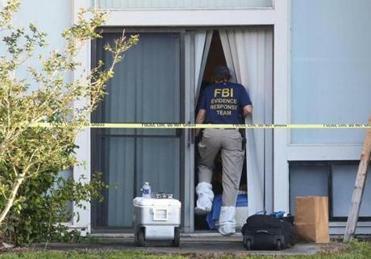 Tsarnaev visited ­Russia for six months last year, and Todashev moved to Florida. Only in retrospect did Tsarnaev’s behavior after the killings become suspicious to friends and family of the victims. They say he was absent from Mess’s wake a week after the slayings. Friends also wondered why he was absent again the next day when hundreds of Mess’s friends and relatives gathered for a memorial service at Ryle’s Jazz Club in Inman Square, near Tsarnaev’s home. Several friends said he also behaved strangely during ­encounters in the weeks after. No longer humorous and engag­ing, they said, he was aloof, and one longtime ­acquaintance said Tsarnaev suddenly acted as if he did not know him. globe.com; Bob Hohler at hohler@­globe.com.